If you follow the latest cosplay updates on the various Doctor Who forums, you’ll know what this past week saw the breaking of some great news for Eleven Doctor fans. 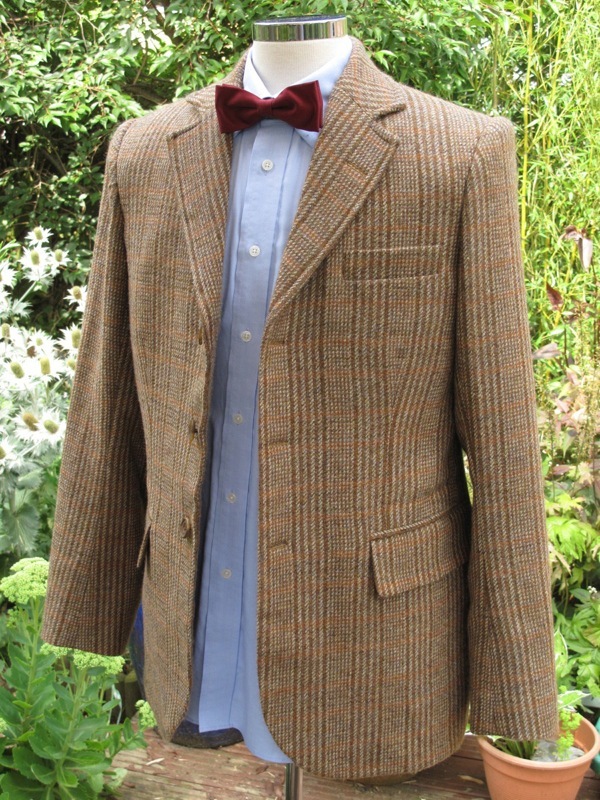 After identifying the Series Six Trousers exclusively on this blog, a fellow dedicated fan in Los Angeles has tracked down the exact tweed used for the Series Six jacket! 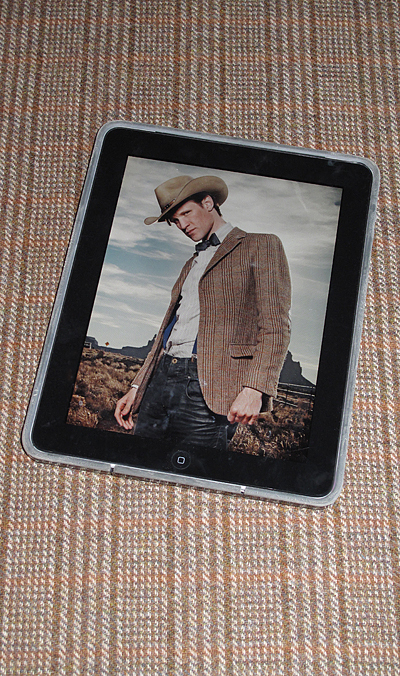 And just to confirm it is the right one, he found it from the fabric broker who supplied it to the Doctor Who costume department! No doubt there then!! I has been tipped off about it a little while back, but kept the embargo on it until news was made public. 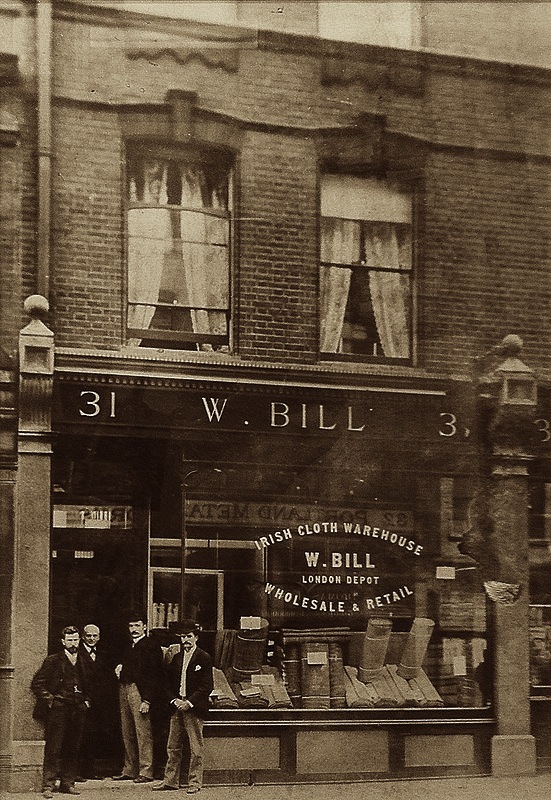 The supplier is W Bill in central London, and I recently went to visit their basement warehouse to see it for myself and get some of the precious fabric. 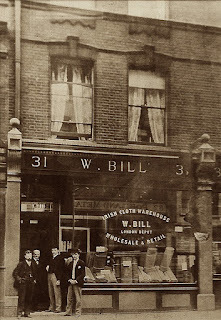 Currently located on New Burlington Street, just off Regent Street, the company was formed by William Bill in 1846 supplying haberdashery for funeral clothing. 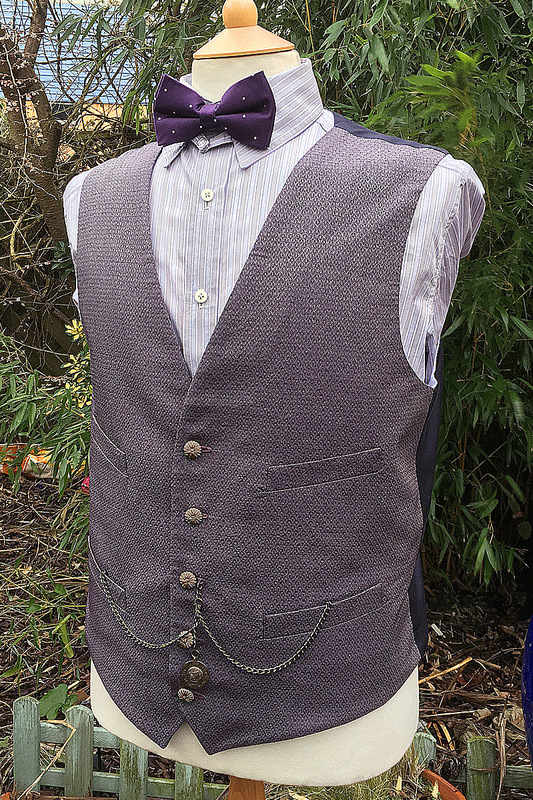 After moving to Bond Street, they expanded their range and became a specialist tweed stockist selling all round the world. I met with Ray Hammett, who has been working there since 1946. 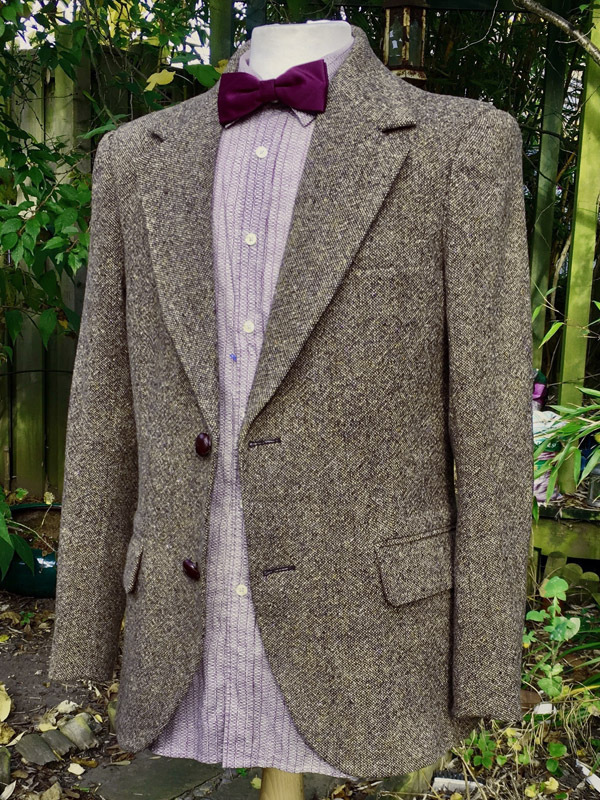 He had prepared for my visit by digging out the bolts of Doctor Who tweed: the Donegal used for Series Five and the Shetland Tweed that is seen in Series Six. It’s always a great buzz to see the fabric you have been seeking right there in front of you. 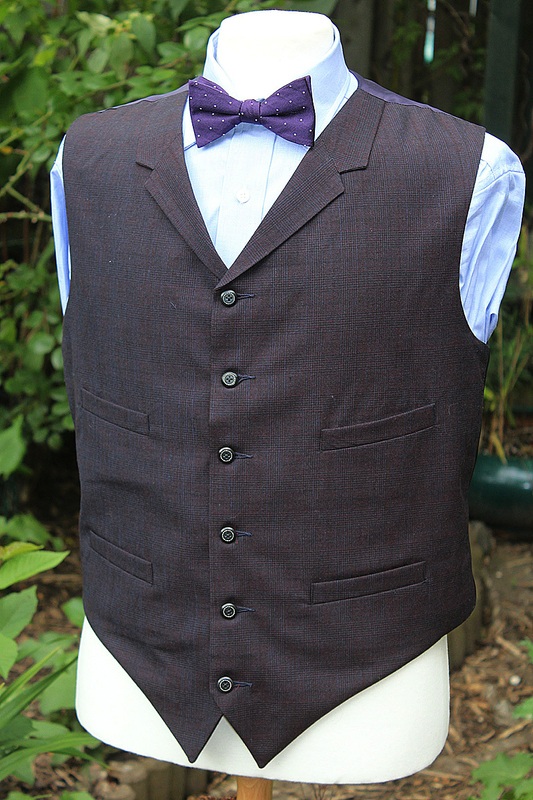 The price is fixed – nearly GB£60 a metre – since it cannot be sold cheaper than the retail price charged by the stockist it is sold to, so after biting the bullet I bought enough to make myself and a couple of friends a Series Six tweed jacket. Check back real soon, cos I don’t intend to hang around on this one! You know, between finding the right jeans, and now the jacket material being sourced, I'm really thinking of biting the bullet and ordering one from you, Steve. 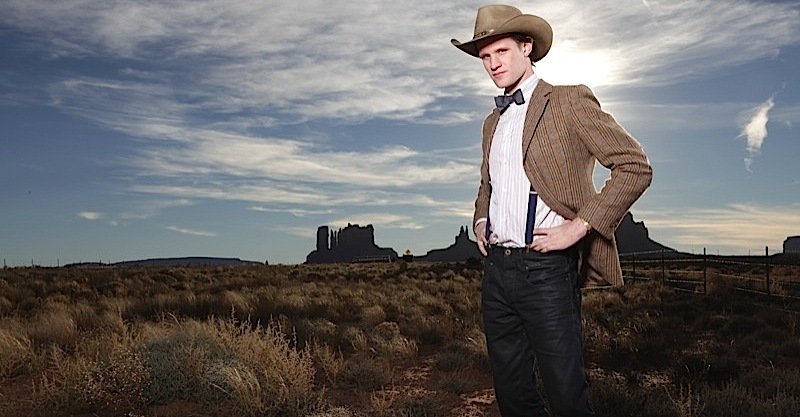 Of course, because of the difference between the pound and the dollar, I'm pretty sure that the jacket would be one-bajillion dollars in material costs alone, but hey, if you're gonna do something, you might as well do it right! Simply put, that material is beautiful. I love how coming to your blog & seeing the finds you make always engender in me the same excited feelings of opening presents on Christmas day. How much do they cost steve? The correct jeans are G star raw blade jeans in foil denim. I’m 100,000 hits old today!